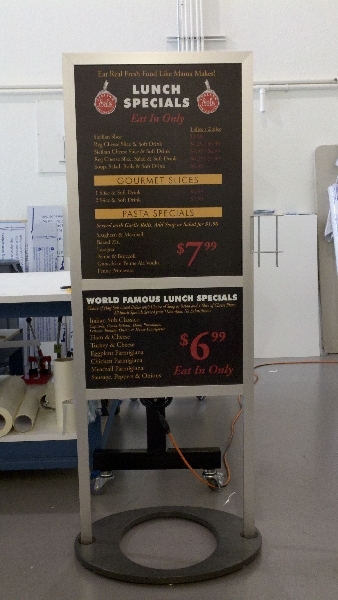 The menu board is one of your most important branding and marketing signage products. What makes them stand out depends on many factors! Color selection. The most impressive color combination is white (or yellow) on black. It offers a dramatic look that is also easy to read. Yet some companies have begun using as the background colors their own company colors. 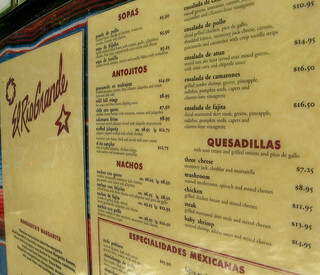 For example, when your building sign shows off a lot of orange, the same is true for the menu board. Design. 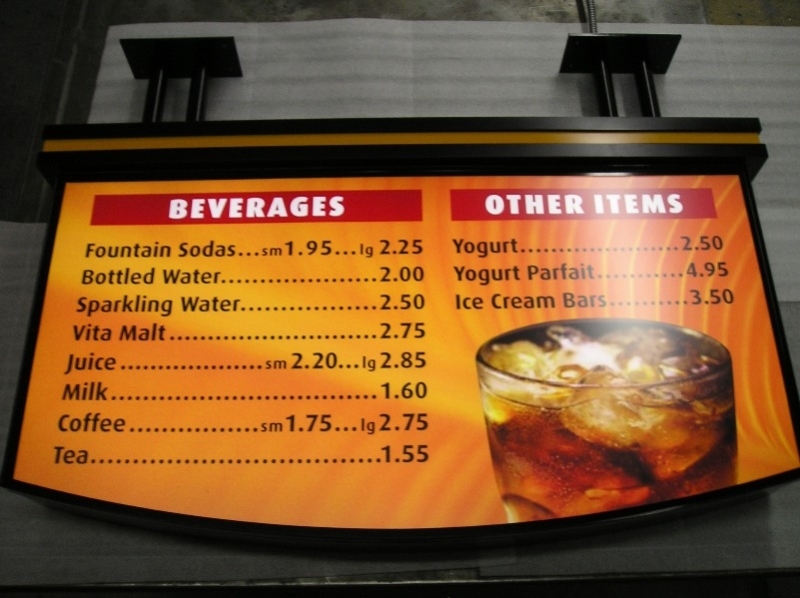 The classic board is an elongated rectangle that features numerous squares on which the food and drink options are displayed. These are installed behind the counter. Yet did you know that you do not have to stick with this look? A current trend calls for the imitation of the old chalkboards. These markers feature a vertical rectangular look and highlight the writing as well as photos of the food. Style elements. In addition to listing your products and prices, consider the artistic display of digital graphics that display related products. For the restaurant, this could refer to photos of wholesome ingredients and fresh produce. Display locations. 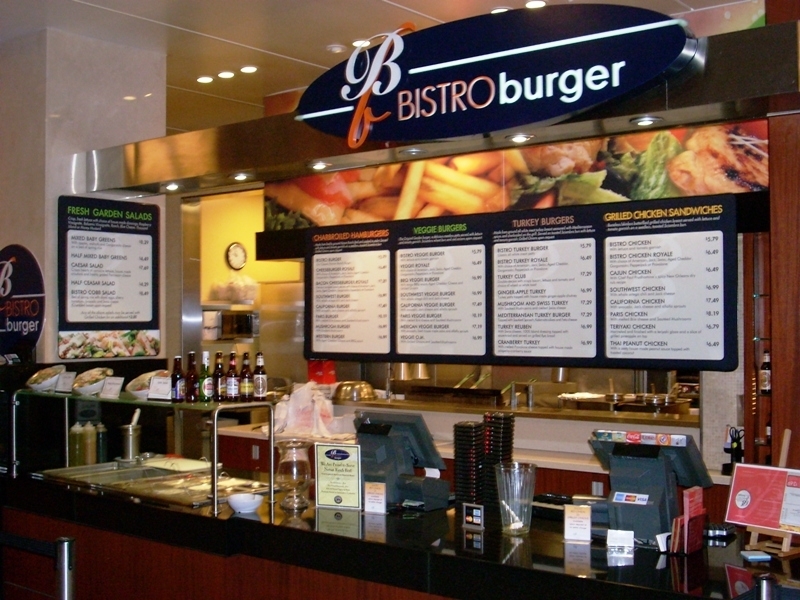 Mounting your menu board behind the counter is a common practice. Yet some eateries now show off their menus on the exterior. Mounted either to the side of the door or displayed as an A-frame sign, these boards complement those that are on the interior. Illumination. Fast food restaurants like to illuminate the boards to assist with legibility. You can do the same even if your eatery does not fall into this category. Lightbox cabinets are ideal for this product. They do not have to be very thick. You can install thin cabinets that nevertheless illuminate from the interior. 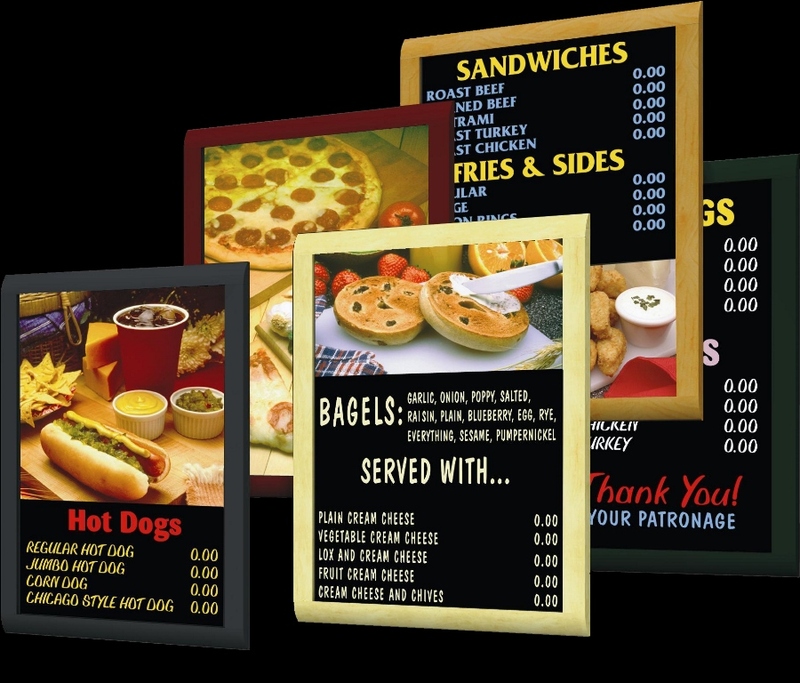 With so many options available, it is no wonder that more and more companies now choose menu boards. Examples include restaurants, hair salons, spas and dog grooming facilities. Consider the placement of your company’s name and logo alongside the display of your products and services. Doing so does not only create name recognition, but it also helps consumers to connect your products with your name, which results in brand awareness. Getting started on your order is quick and simple. Contact the design specialists at Stellar Signs & Graphics. We work with your management team to design the right display that fits your branding and supports your marketing message. We serve the business communities in and around West Palm Beach, Palm Beach County, Royal Palm Beach, Wellington, Lake Worth, Boynton Beach, Palm Beach Gardens and Green Acres, FL.